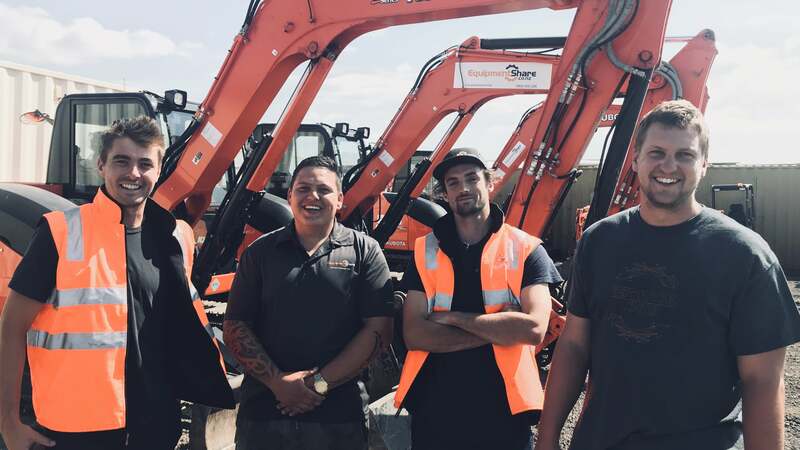 Hire heavy machinery from NZ's newest, smartest fleet. Newest fleet in the industry means better performing machines and more up-time on site, making your projects more profitable. A dedicated expert just a call away at any time, committed to helping you get your project done right. Spend less time on admin and logistics and more time getting the job done. You'll have transparency and responsiveness at all stages of your hire. Easily request a quote by giving us a few details about your upcoming job. We'll get back to you ASAP. Choose a seamless hire process for your next project. Talk to one of our experts about the right machinery and prices for your job. Get our credit application form to set up an account with us. Be ready for your next hire and take advantage of our special pricing. Invest in heavy machinery and generate passive income. EquipmentShare rents your heavy machinery to qualified contractors. Receive payouts monthly for the rental income generated by your machines. EquipmentShare takes care of everything including storage, maintenance, payment processing, insurance and more. Looking for pricing, advice or more info? Talk to our machinery specialists who can find the right equipment for your job. Leave your details and we'll be in touch as soon as possible.